Everyone knows that online shopping is becoming the preferred way to purchase and that strip mall retailers are slowly fading away. However, buying a mattress online seemed to be one of those things that didn’t make sense…like buying a car online. Then Casper, Leesa and a few other bed-in-a-box companies started disrupting the confusing world of mattress retail selling.. And this past week, Mattress Firm announced it’s filing for bankruptcy and plans on closing 20% of its stores. Yes, there were too many Mattress Firm stores! (over 3500…. almost as many as Starbucks!). 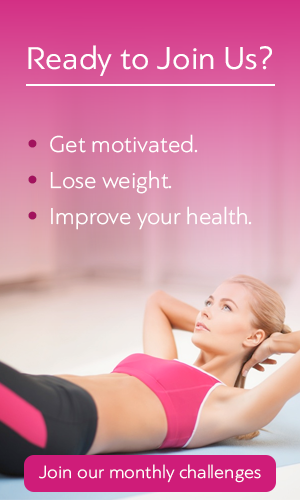 However, if you’ve been seriously shopping for a mattress online, you might have noticed that the hipster bed-in-a-box brands are pretty hard to tell apart, and that they are mostly 10 or 11” layers of foam, not the kind of mattress design you really need to restore and recharge you over-stressed and overworked body. Sure you can return it for free for a full refund after a few weeks if it doesn’t feel awesome, but that’s not exactly as easy as returning your shoes to Zappos….and then you get to go mattress shopping all over again. After going through two rounds of online mattresses, I realized that what I really need is a uber-comfy, luxury mattress that can be made for me and the way I sleep, and can be fixed without having to return it if it’s not exactly what I want. Sound impossible? I thought so too until I found Luma Sleep. Truthfully, I had never heard of Luma Sleep until I found this website called The Mattress Underground. It’s a really cool site that doesn’t promote mattresses but helps you figure out “all about mattresses”. Anyhow, while searching through the website, I came across this company called Luma Sleep that designs and sells mattresses online that are made to the comfort type you want. But even better than that, you can have the top layer exchanged for free if it turns out to be not exactly what you want. And you can still return it for free within 100 days if you find out you don’t like it or the stuff it’s made of…..stuff called Talalay latex. 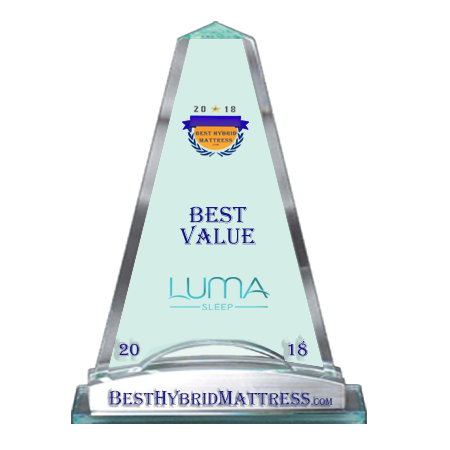 www.besthybridmattress.com and found that The 2018 Best Hybrid Mattress Awards came out last month that Luma Sleep received an award for the Best Value model. I also discovered that Luma Sleep is endorsed by Michael J. Breus, PhD. Dr. Breus is most commonly known as “The Sleep Doctor”, a sleep expert who makes regular appearances on “The Dr. Oz Show”, “The Early Show” and others. From the About Us page on the Luma Sleep website, they claim to have 20+ years of mattress building experience and to be”confessed bed geeks” who know how to source the best responsive materials and how to craft great beds. And unlike most of the bed-in-a-box companies, Luma Sleep tells you exactly what’s inside every bed they make. No hype, no mystery foams or fake reviews. Just deep, healthy, breathable comfort that’s made just for you. Luma Sleep has 3 models of mattresses to choose from but the two that are really special have a unique two-layer Talalay Latex Mattress that lets you transform the feel of your bed BEFORE and AFTER purchase. There are 3 choices of comfort are available to choose from when you purchase (the before) and you can exchange the comfort layer for FREE for a Full Year if you find it’s not exactly what you need in comfort and support (the after). The Slumber System versions include 2 luxurious Talalay latex pillows and an Aller-Free Tencel mattress protector. 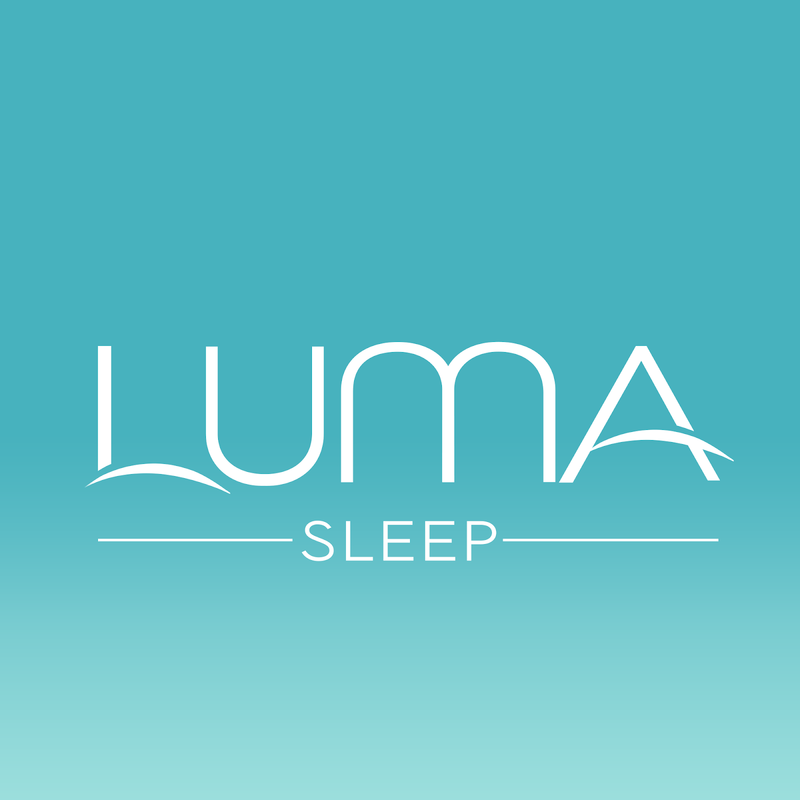 Available online only, Luma Sleep offers a 100-Night Free in-home trial and Free returns! Luma Sleep’s mattresses are designed to respond to your body’s shape and sleeping positions. According to their website, over 90% of a Luma Mattress™ actively responds to you, keeping you comfortable and properly supported. It’s almost impossible to tell if a mattress feels great with someone hovering over you in a store, and certainly not by pointing and clicking online. This is what inspired the customize-anytime Luma Slumber Systems. Why do you care? 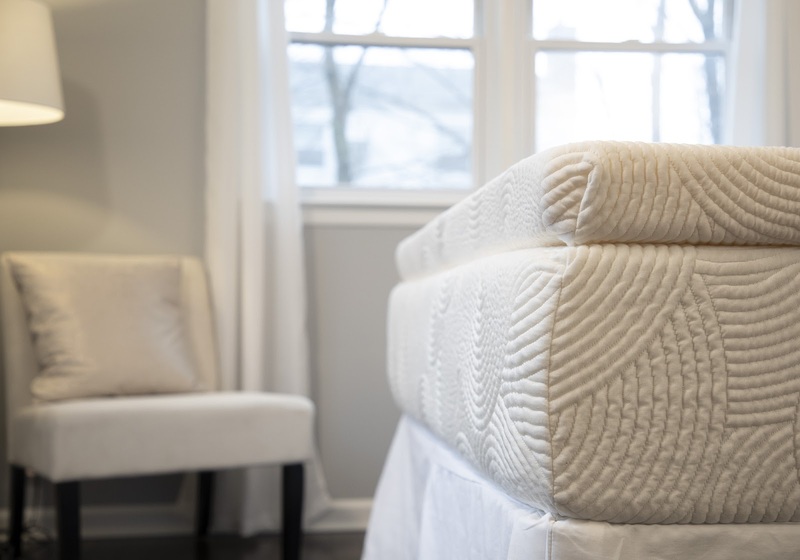 If it doesn’t feel totally great during the first year, all you have to do is contact Luma Sleep and they will exchange the comfort layer for a plusher or firmer version for FREE. What’s also really cool is that if something in your life changes down the road where your sleeping needs change, you can reboot your Slumber System by only having to get a new comfort layer. Think of it as an easy “software upgrade” for your bed for a fraction of the price of an entire mattress. It’s a less expensive, super simple to make sure your bed always feels super.